Sign-up to receive alerts and make a difference! The The Colorado Chamber Grassroots Advocacy Program is a collaborative effort between many local Chambers of Commerce, business leaders, employees, and The Colorado Chamber. 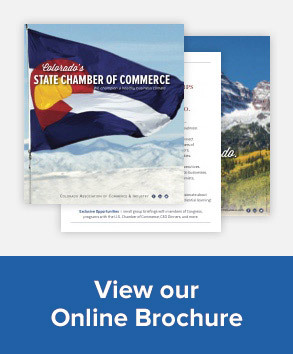 It is designed to improve Colorado’s business climate by mobilizing the power of Colorado’s business leaders to influence government decisions at the Colorado legislature. You can influence your legislator’s vote: Sign-up now so that your position on legislation matters is heard! Contact Lauren Schwartz at LSchwartz@COchamber.com.